Bad dog, bad dog, whatcha gonna do? Whatcha gonna do when they come for you? Oh yeah, you’re going to do this. . . and then get away with whatever you want. 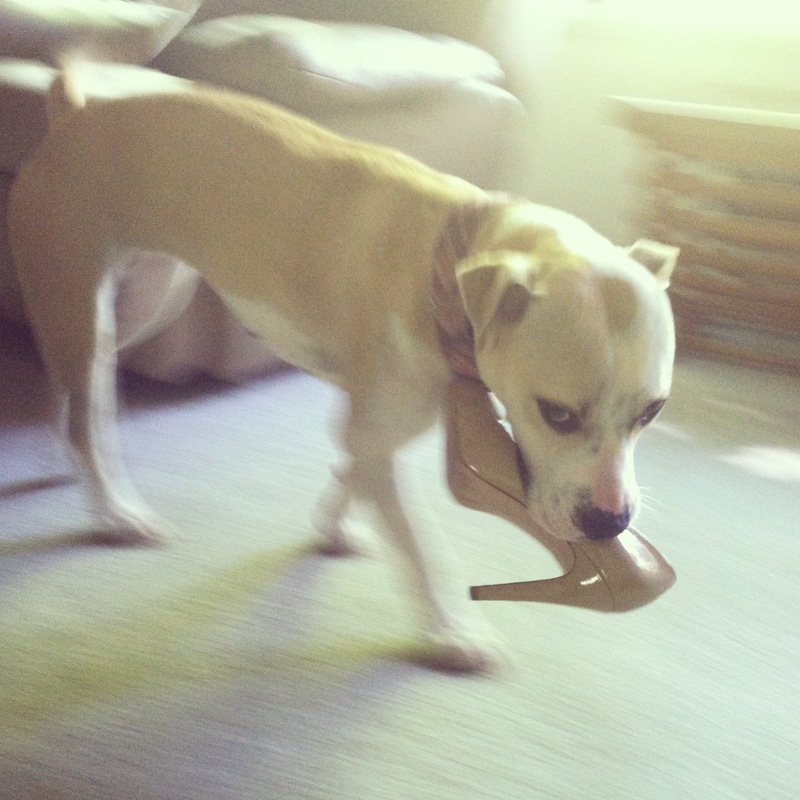 This entry was posted in Dog talk, Johnnie Cash and tagged adorable pit bull, bad dog, cute dog, dog stealing shoe, foster dog, guilty dog, manners, poor management. Bookmark the permalink. Love the look with the shoe. 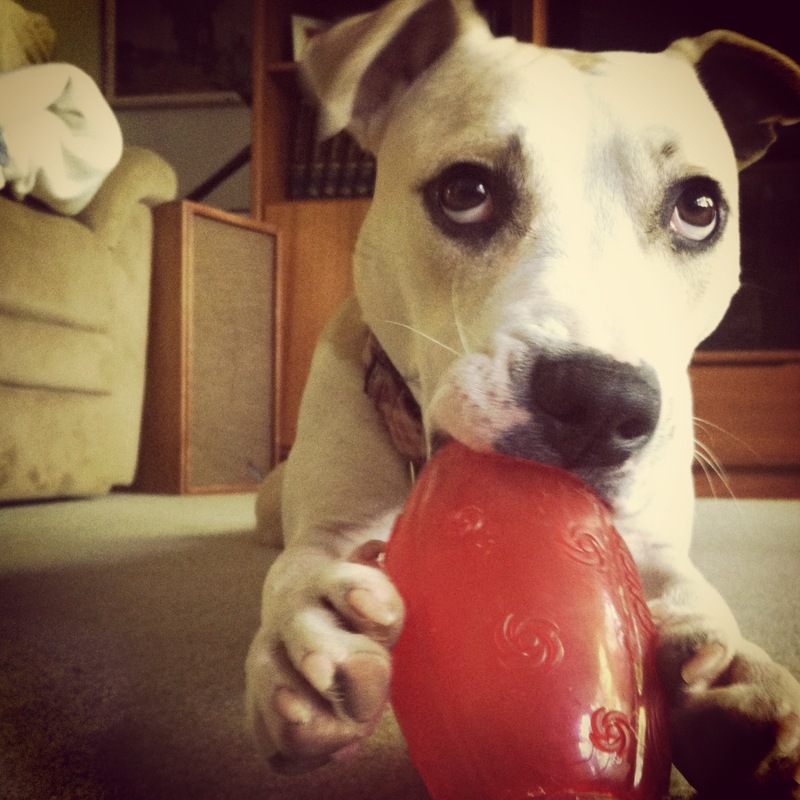 It’s like she’s looking at you and saying, “This is bad, isn’t it?” Hard to get too upset with that cuteness!